Democracy (Greek: δημοκρατία dēmokratía, literally "Rule by 'People'") is a system of government where the citizens exercise power by voting. In a direct democracy, the citizens as a whole form a governing body and vote directly on each issue. In a representative democracy the citizens elect representatives from among themselves. These representatives meet to form a governing body, such as a legislature. In a constitutional democracy the powers of the majority are exercised within the framework of a representative democracy, but the constitution limits the majority and protects the minority, usually through the enjoyment by all of certain individual rights, e.g. freedom of speech, or freedom of association. "Rule of the majority" is commonly referred to as democracy. John Locke wrote: “There is no practical alternative to majority political rule – i.e., to taking the consent of the majority as the act of the whole and binding every individual. It would be next to impossible to obtain the consent of every individual before acting collectively … No rational people could desire and constitute a society that had to dissolve straightaway because the majority was unable to make the final decision and the society was incapable of acting as one body." Democracy is a system of processing conflicts in which outcomes depend on what participants do, but no single force controls what occurs and its outcomes. The uncertainty of outcomes is inherent in democracy. Democracy makes all forces struggle repeatedly to realize their interests and devolves power from groups of people to sets of rules. Western democracy, as distinct from that which existed in pre-modern societies, is generally considered to have originated in city-states such as Classical Athens and the Roman Republic, where various schemes and degrees of enfranchisement of the free male population were observed before the form disappeared in the West at the beginning of late antiquity. The English word dates back to the 16th century, from the older Middle French and Middle Latin equivalents. The term "democracy" first appeared in ancient Greek political and philosophical thought in the city-state of Athens during classical antiquity. The word comes from demos, "common people" and kratos, "strength". Led by Cleisthenes, Athenians established what is generally held as the first democracy in 508–507 BC. Cleisthenes is referred to as "the father of Athenian democracy." Athenian democracy was not only direct in the sense that decisions were made by the assembled people, but also the most direct in the sense that the people through the assembly, boule and courts of law controlled the entire political process and a large proportion of citizens were involved constantly in the public business. Even though the rights of the individual were not secured by the Athenian constitution in the modern sense (the ancient Greeks had no word for "rights"), the Athenians enjoyed their liberties not in opposition to the government but by living in a city that was not subject to another power and by not being subjects themselves to the rule of another person. Range voting appeared in Sparta as early as 700 BC. The Apella was an assembly of the people, held once a month, in which every male citizen of at least 30 years of age could participate. In the Apella, Spartans elected leaders and cast votes by range voting and shouting. Aristotle called this "childish", as compared with the stone voting ballots used by the Athenians. Sparta adopted it because of its simplicity, and to prevent any bias voting, buying, or cheating that was predominant in the early democratic elections. Even though the Roman Republic contributed significantly to many aspects of democracy, only a minority of Romans were citizens with votes in elections for representatives. The votes of the powerful were given more weight through a system of gerrymandering, so most high officials, including members of the Senate, came from a few wealthy and noble families. In addition, the Roman Republic was the first government in the western world to have a Republic as a nation-state, although it didn't have much of a democracy. The Romans invented the concept of classics and many works from Ancient Greece were preserved. Additionally, the Roman model of governance inspired many political thinkers over the centuries, and today's modern representative democracies imitate more the Roman than the Greek models because it was a state in which supreme power was held by the people and their elected representatives, and which had an elected or nominated leader. Other cultures, such as the Iroquois Nation in the Americas between around 1450 and 1600 AD also developed a form of democratic society before they came in contact with the Europeans. This indicates that forms of democracy may have been invented in other societies around the world. The 10th Sikh Guru Gobind Singh ji (Nanak X) established the world's first Sikh democratic republic state ending the aristocracy on day of 1st Vasakh 1699 and Gurbani as sole constitution of this Sikh republic on the Indian subcontinent. The Parliament of England had its roots in the restrictions on the power of kings written into Magna Carta (1215), which explicitly protected certain rights of the King's subjects and implicitly supported what became the English writ of habeas corpus, safeguarding individual freedom against unlawful imprisonment with right to appeal. The first representative national assembly in England was Simon de Montfort's Parliament in 1265. The emergence of petitioning is some of the earliest evidence of parliament being used as a forum to address the general grievances of ordinary people. However, the power to call parliament remained at the pleasure of the monarch. In 17th century England, there was renewed interest in Magna Carta. The Parliament of England passed the Petition of Right in 1628 which established certain liberties for subjects. The English Civil War (1642–1651) was fought between the King and an oligarchic but elected Parliament, during which the idea of a political party took form with groups debating rights to political representation during the Putney Debates of 1647. Subsequently, the Protectorate (1653–59) and the English Restoration (1660) restored more autocratic rule, although Parliament passed the Habeas Corpus Act in 1679 which strengthened the convention that forbade detention lacking sufficient cause or evidence. After the Glorious Revolution of 1688, the Bill of Rights was enacted in 1689 which codified certain rights and liberties, and is still in effect. The Bill set out the requirement for regular elections, rules for freedom of speech in Parliament and limited the power of the monarch, ensuring that, unlike much of Europe at the time, royal absolutism would not prevail. In North America, representative government began in Jamestown, Virginia, with the election of the House of Burgesses (forerunner of the Virginia General Assembly) in 1619. English Puritans who migrated from 1620 established colonies in New England whose local governance was democratic and which contributed to the democratic development of the United States; although these local assemblies had some small amounts of devolved power, the ultimate authority was held by the Crown and the English Parliament. The Puritans (Pilgrim Fathers), Baptists, and Quakers who founded these colonies applied the democratic organisation of their congregations also to the administration of their communities in worldly matters. The first Parliament of Great Britain was established in 1707, after the merger of the Kingdom of England and the Kingdom of Scotland under the Acts of Union. Although the monarch increasingly became a figurehead, only a small minority actually had a voice; Parliament was elected by only a few percent of the population (less than 3% as late as 1780). During the Age of Liberty in Sweden (1718–1772), civil rights were expanded and power shifted from the monarch to parliament. The taxed peasantry was represented in parliament, although with little influence, but commoners without taxed property had no suffrage. The creation of the short-lived Corsican Republic in 1755 marked the first nation in modern history to adopt a democratic constitution (all men and women above age of 25 could vote). This Corsican Constitution was the first based on Enlightenment principles and included female suffrage, something that was not granted in most other democracies until the 20th century. In the American colonial period before 1776, and for some time after, often only adult white male property owners could vote; enslaved Africans, most free black people and most women were not extended the franchise. This changed state by state, beginning with the republican State of New Connecticut, soon after called Vermont, which, on declaring independence of Great Britain in 1777, adopted a constitution modelled on Pennsylvania’s with citizenship and democratic suffrage for males with or without property, and went on to abolish slavery. On the American frontier, democracy became a way of life, with more widespread social, economic and political equality. Although not described as a democracy by the founding fathers, they shared a determination to root the American experiment in the principles of natural freedom and equality. The American Revolution led to the adoption of the United States Constitution in 1787, the oldest surviving, still active, governmental codified constitution. The Constitution provided for an elected government and protected civil rights and liberties for some, but did not end slavery nor extend voting rights in the United States beyond white male property owners (about 6% of the population). The Bill of Rights in 1791 set limits on government power to protect personal freedoms but had little impact on judgements by the courts for the first 130 years after ratification. In 1789, Revolutionary France adopted the Declaration of the Rights of Man and of the Citizen and, although short-lived, the National Convention was elected by all men in 1792. However, in the early 19th century, little of democracy—as theory, practice, or even as word—remained in the North Atlantic world. The United Kingdom's Slave Trade Act 1807 banned the trade across the British Empire, which was enforced internationally by the Royal Navy under treaties Britain negotiated with other nations. As the voting franchise in the U.K. was increased, it also was made more uniform in a series of reforms beginning with the Reform Act 1832, although the United Kingdom did not manage to become a complete democracy well into the 20th century. In 1833, the United Kingdom passed the Slavery Abolition Act which took effect across the British Empire. Universal male suffrage was established in France in March 1848 in the wake of the French Revolution of 1848. 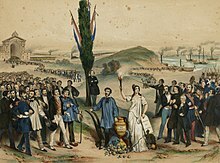 In 1848, several revolutions broke out in Europe as rulers were confronted with popular demands for liberal constitutions and more democratic government. In the 1860 United States Census, the slave population in the United States had grown to four million, and in Reconstruction after the Civil War (late 1860s), the newly freed slaves became citizens with a nominal right to vote for men. Full enfranchisement of citizens was not secured until after the Civil Rights Movement gained passage by the United States Congress of the Voting Rights Act of 1965. In 1876 Turkey transitioned from an absolute monarchy to a constitutional one, and held two elections the next year to elect members to her newly formed parliament. Provisional Electoral Regulations were issued on 29 October 1876, stating that the elected members of the Provincial Administrative Councils would elect members to the first Parliament. On 24 December a new constitution was promulgated, which provided for a bicameral Parliament with a Senate appointed by the Sultan and a popularly elected Chamber of Deputies. Only men above the age of 30 who were competent in Turkish and had full civil rights were allowed to stand for election. Reasons for disqualification included holding dual citizenship, being employed by a foreign government, being bankrupt, employed as a servant, or having "notoriety for ill deeds". Full universal suffrage was achieved in 1934. 20th-century transitions to liberal democracy have come in successive "waves of democracy", variously resulting from wars, revolutions, decolonisation, and religious and economic circumstances. Global waves of "democratic regression" reversing democratization, have also occurred in the 1920s and 30s, in the 1960s and 1970s, and in the 2010s. In the 1920s democracy flourished and women's suffrage advanced, but the Great Depression brought disenchantment and most of the countries of Europe, Latin America, and Asia turned to strong-man rule or dictatorships. Fascism and dictatorships flourished in Nazi Germany, Italy, Spain and Portugal, as well as non-democratic governments in the Baltics, the Balkans, Brazil, Cuba, China, and Japan, among others. World War II brought a definitive reversal of this trend in western Europe. The democratisation of the American, British, and French sectors of occupied Germany (disputed), Austria, Italy, and the occupied Japan served as a model for the later theory of government change. However, most of Eastern Europe, including the Soviet sector of Germany fell into the non-democratic Soviet bloc. The war was followed by decolonisation, and again most of the new independent states had nominally democratic constitutions. India emerged as the world's largest democracy and continues to be so. Countries that were once part of the British Empire often adopted the British Westminster system. According to Freedom House, in 2007 there were 123 electoral democracies (up from 40 in 1972). According to World Forum on Democracy, electoral democracies now represent 120 of the 192 existing countries and constitute 58.2 percent of the world's population. At the same time liberal democracies i.e. countries Freedom House regards as free and respectful of basic human rights and the rule of law are 85 in number and represent 38 percent of the global population. Most electoral democracies continue to exclude those younger than 18 from voting. The voting age has been lowered to 16 for national elections in a number of countries, including Brazil, Austria, Cuba, and Nicaragua. In California, a 2004 proposal to permit a quarter vote at 14 and a half vote at 16 was ultimately defeated. In 2008, the German parliament proposed but shelved a bill that would grant the vote to each citizen at birth, to be used by a parent until the child claims it for themselves. In 2007 the United Nations declared 15 September the International Day of Democracy. According to Freedom House, starting in 2005, there have been eleven consecutive years in which declines in political rights and civil liberties throughout the world have outnumbered improvements, as populist and nationalist political forces have gained ground everywhere from Poland (under the Law and Justice Party) to the Philippines (under Rodrigo Duterte). In a Freedom House report released in 2018, Democracy Scores for most countries declined for the 12th consecutive year. The Christian Science Monitor reported that nationalist and populist political ideologies were gaining ground, at the expense of rule of law, in countries like Poland, Turkey and Hungary. For example, in Poland, the President appointed 27 new Supreme Court judges over objections from the European Union. In Turkey, thousands of judges were removed from their positions following a failed coup attempt during a government crackdown . Freedom in the World published each year since 1972 by the U.S.-based Freedom House ranks countries by political rights and civil liberties that are derived in large measure from the Universal Declaration of Human Rights. Countries are assessed as free, partly free, or unfree. Worldwide Press Freedom Index is published each year since 2002 (except that 2011 was combined with 2012) by France-based Reporters Without Borders. Countries are assessed as having a good situation, a satisfactory situation, noticeable problems, a difficult situation, or a very serious situation. The Index of Freedom in the World is an index measuring classical civil liberties published by Canada's Fraser Institute, Germany's Liberales Institute, and the U.S. Cato Institute. It is not currently included in the table below. The CIRI Human Rights Data Project measures a range of human, civil, women's and workers rights. It is now hosted by the University of Connecticut. It was created in 1994. In its 2011 report, the U.S. was ranked 38th in overall human rights. The Democracy Index, published by the U.K.-based Economist Intelligence Unit, is an assessment of countries' democracy. Countries are rated to be either Full Democracies, Flawed Democracies, Hybrid Regimes, or Authoritarian regimes. Full democracies, flawed democracies, and hybrid regimes are considered to be democracies, and the authoritarian nations are considered to be dictatorial. The index is based on 60 indicators grouped in five different categories. MaxRange, a dataset defining level of democracy and institutional structure(regime-type) on a 100-graded scale where every value represents a unique regime type. Values are sorted from 1–100 based on level of democracy and political accountability. MaxRange defines the value corresponding to all states and every month from 1789 to 2015 and updating. MaxRange is created and developed by Max Range, and is now associated with the university of Halmstad, Sweden. Dieter Fuchs and Edeltraud Roller suggest that, in order to truly measure the quality of democracy, objective measurements need to be complemented by "subjective measurements based on the perspective of citizens". Similarly, Quinton Mayne and Brigitte Geißel also defend that the quality of democracy does not depend exclusively on the performance of institutions, but also on the citizens' own dispositions and commitment. Because democracy is an overarching concept that includes the functioning of diverse institutions which are not easy to measure, strong limitations exist in quantifying and econometrically measuring the potential effects of democracy or its relationship with other phenomena—whether inequality, poverty, education etc. Given the constraints in acquiring reliable data with within-country variation on aspects of democracy, academics have largely studied cross-country variations. Yet variations between democratic institutions are very large across countries which constrains meaningful comparisons using statistical approaches. Since democracy is typically measured aggregately as a macro variable using a single observation for each country and each year, studying democracy faces a range of econometric constraints and is limited to basic correlations. Cross-country comparison of a composite, comprehensive and qualitative concept like democracy may thus not always be, for many purposes, methodologically rigorous or useful. Democracy has taken a number of forms, both in theory and practice. Some varieties of democracy provide better representation and more freedom for their citizens than others. However, if any democracy is not structured so as to prohibit the government from excluding the people from the legislative process, or any branch of government from altering the separation of powers in its own favour, then a branch of the system can accumulate too much power and destroy the democracy. 1This map was compiled according to the Wikipedia list of countries by system of government. See there for sources. 2Several states constitutionally deemed to be multiparty republics are broadly described by outsiders as authoritarian states. This map presents only the de jure form of government, and not the de facto degree of democracy. Several variants of democracy exist, but there are two basic forms, both of which concern how the whole body of all eligible citizens executes its will. One form of democracy is direct democracy, in which all eligible citizens have active participation in the political decision making, for example voting on policy initiatives directly. In most modern democracies, the whole body of eligible citizens remain the sovereign power but political power is exercised indirectly through elected representatives; this is called a representative democracy. Within modern-day representative governments, certain electoral tools like referendums, citizens' initiatives and recall elections are referred to as forms of direct democracy. However, some advocates of direct democracy argue for local assemblies of face-to-face discussion. Direct democracy as a government system currently exists in the Swiss cantons of Appenzell Innerrhoden and Glarus, the Rebel Zapatista Autonomous Municipalities, communities affiliated with the CIPO-RFM, the Bolivian city councils of FEJUVE, and Kurdish cantons of Rojava. Representative democracy involves the election of government officials by the people being represented. If the head of state is also democratically elected then it is called a democratic republic. The most common mechanisms involve election of the candidate with a majority or a plurality of the votes. Most western countries have representative systems. Parliamentary democracy is a representative democracy where government is appointed by, or can be dismissed by, representatives as opposed to a "presidential rule" wherein the president is both head of state and the head of government and is elected by the voters. Under a parliamentary democracy, government is exercised by delegation to an executive ministry and subject to ongoing review, checks and balances by the legislative parliament elected by the people. Parliamentary systems have the right to dismiss a Prime Minister at any point in time that they feel he or she is not doing their job to the expectations of the legislature. This is done through a Vote of No Confidence where the legislature decides whether or not to remove the Prime Minister from office by a majority support for his or her dismissal. In some countries, the Prime Minister can also call an election whenever he or she so chooses, and typically the Prime Minister will hold an election when he or she knows that they are in good favour with the public as to get re-elected. In other parliamentary democracies extra elections are virtually never held, a minority government being preferred until the next ordinary elections. An important feature of the parliamentary democracy is the concept of the "loyal opposition". The essence of the concept is that the second largest political party (or coalition) opposes the governing party (or coalition), while still remaining loyal to the state and its democratic principles. Presidential Democracy is a system where the public elects the president through free and fair elections. The president serves as both the head of state and head of government controlling most of the executive powers. The president serves for a specific term and cannot exceed that amount of time. Elections typically have a fixed date and aren't easily changed. The president has direct control over the cabinet, specifically appointing the cabinet members. The president cannot be easily removed from office by the legislature, but he or she cannot remove members of the legislative branch any more easily. This provides some measure of separation of powers. In consequence however, the president and the legislature may end up in the control of separate parties, allowing one to block the other and thereby interfere with the orderly operation of the state. This may be the reason why presidential democracy is not very common outside the Americas, Africa, and Central and Southeast Asia. A semi-presidential system is a system of democracy in which the government includes both a prime minister and a president. The particular powers held by the prime minister and president vary by country. Some modern democracies that are predominantly representative in nature also heavily rely upon forms of political action that are directly democratic. These democracies, which combine elements of representative democracy and direct democracy, are termed hybrid democracies, semi-direct democracies or participatory democracies. Examples include Switzerland and some U.S. states, where frequent use is made of referendums and initiatives. The Swiss confederation is a semi-direct democracy. At the federal level, citizens can propose changes to the constitution (federal popular initiative) or ask for a referendum to be held on any law voted by the parliament. Between January 1995 and June 2005, Swiss citizens voted 31 times, to answer 103 questions (during the same period, French citizens participated in only two referendums). Although in the past 120 years less than 250 initiatives have been put to referendum. The populace has been conservative, approving only about 10% of the initiatives put before them; in addition, they have often opted for a version of the initiative rewritten by government. In the United States, no mechanisms of direct democracy exists at the federal level, but over half of the states and many localities provide for citizen-sponsored ballot initiatives (also called "ballot measures", "ballot questions" or "propositions"), and the vast majority of states allow for referendums. Examples include the extensive use of referendums in the US state of California, which is a state that has more than 20 million voters. In New England, Town meetings are often used, especially in rural areas, to manage local government. This creates a hybrid form of government, with a local direct democracy and a state government which is representative. For example, most Vermont towns hold annual town meetings in March in which town officers are elected, budgets for the town and schools are voted on, and citizens have the opportunity to speak and be heard on political matters. Many countries such as the United Kingdom, Spain, the Netherlands, Belgium, Scandinavian countries, Thailand, Japan and Bhutan turned powerful monarchs into constitutional monarchs with limited or, often gradually, merely symbolic roles. For example, in the predecessor states to the United Kingdom, constitutional monarchy began to emerge and has continued uninterrupted since the Glorious Revolution of 1688 and passage of the Bill of Rights 1689. The term republic has many different meanings, but today often refers to a representative democracy with an elected head of state, such as a president, serving for a limited term, in contrast to states with a hereditary monarch as a head of state, even if these states also are representative democracies with an elected or appointed head of government such as a prime minister. What was critical to American values, John Adams insisted, was that the government be "bound by fixed laws, which the people have a voice in making, and a right to defend." As Benjamin Franklin was exiting after writing the U.S. constitution, a woman asked him "Well, Doctor, what have we got—a republic or a monarchy?". He replied "A republic—if you can keep it." Anarchists are split in this domain, depending on whether they believe that a majority-rule is tyrannic or not. The only form of democracy considered acceptable to many anarchists is direct democracy. Pierre-Joseph Proudhon argued that the only acceptable form of direct democracy is one in which it is recognised that majority decisions are not binding on the minority, even when unanimous. However, anarcho-communist Murray Bookchin criticised individualist anarchists for opposing democracy, and says "majority rule" is consistent with anarchism. Some anarcho-communists oppose the majoritarian nature of direct democracy, feeling that it can impede individual liberty and opt in favour of a non-majoritarian form of consensus democracy, similar to Proudhon's position on direct democracy. Henry David Thoreau, who did not self-identify as an anarchist but argued for "a better government" and is cited as an inspiration by some anarchists, argued that people should not be in the position of ruling others or being ruled when there is no consent. Sometimes called "democracy without elections", sortition chooses decision makers via a random process. The intention is that those chosen will be representative of the opinions and interests of the people at large, and be more fair and impartial than an elected official. The technique was in widespread use in Athenian Democracy and Renaissance Florence and is still used in modern jury selection. Cosmopolitan democracy, also known as Global democracy or World Federalism, is a political system in which democracy is implemented on a global scale, either directly or through representatives. An important justification for this kind of system is that the decisions made in national or regional democracies often affect people outside the constituency who, by definition, cannot vote. By contrast, in a cosmopolitan democracy, the people who are affected by decisions also have a say in them. Cosmopolitan Democracy has been promoted, among others, by physicist Albert Einstein, writer Kurt Vonnegut, columnist George Monbiot, and professors David Held and Daniele Archibugi. The creation of the International Criminal Court in 2003 was seen as a major step forward by many supporters of this type of cosmopolitan democracy. Creative Democracy is advocated by American philosopher John Dewey. The main idea about Creative Democracy is that democracy encourages individual capacity building and the interaction among the society. Dewey argues that democracy is a way of life in his work of "Creative Democracy: The Task Before Us" and an experience built on faith in human nature, faith in human beings, and faith in working with others. Democracy, in Dewey's view, is a moral ideal requiring actual effort and work by people; it is not an institutional concept that exists outside of ourselves. "The task of democracy", Dewey concludes, "is forever that of creation of a freer and more humane experience in which all share and to which all contribute". Guided democracy is a form of democracy which incorporates regular popular elections, but which often carefully "guides" the choices offered to the electorate in a manner which may reduce the ability of the electorate to truly determine the type of government exercised over them. Such democracies typically have only one central authority which is often not subject to meaningful public review by any other governmental authority. Russian-style democracy has often been referred to as a "Guided democracy." Russian politicians have referred to their government as having only one center of power/ authority, as opposed to most other forms of democracy which usually attempt to incorporate two or more naturally competing sources of authority within the same government. Aside from the public sphere, similar democratic principles and mechanisms of voting and representation have been used to govern other kinds of groups. Many non-governmental organisations decide policy and leadership by voting. Most trade unions and cooperatives are governed by democratic elections. Corporations are controlled by shareholders on the principle of one share, one vote—sometimes supplemented by workplace democracy. Amitai Etzioni has postulated a system that fuses elements of democracy with sharia law, termed islamocracy. Aristotle contrasted rule by the many (democracy/timocracy), with rule by the few (oligarchy/aristocracy), and with rule by a single person (tyranny or today autocracy/absolute monarchy). He also thought that there was a good and a bad variant of each system (he considered democracy to be the degenerate counterpart to timocracy). A common view among early and renaissance Republican theorists was that democracy could only survive in small political communities. Heeding the lessons of the Roman Republic's shift to monarchism as it grew larger, these Republican theorists held that the expansion of territory and population inevitably led to tyranny. Democracy was therefore highly fragile and rare historically, as it could only survive in small political units, which due to their size were vulnerable to conquest by larger political units. Montesquieu famously said, "if a republic is small, it is destroyed by an outside force; if it is large, it is destroyed by an internal vice." Rousseau asserted, "It is, therefore the natural property of small states to be governed as a republic, of middling ones to be subject to a monarch, and of large empires to be swayed by a despotic prince." Among modern political theorists, there are three contending conceptions of the fundamental rationale for democracy: aggregative democracy, deliberative democracy, and radical democracy. Different variants of aggregative democracy exist. Under minimalism, democracy is a system of government in which citizens have given teams of political leaders the right to rule in periodic elections. According to this minimalist conception, citizens cannot and should not "rule" because, for example, on most issues, most of the time, they have no clear views or their views are not well-founded. Joseph Schumpeter articulated this view most famously in his book Capitalism, Socialism, and Democracy. Contemporary proponents of minimalism include William H. Riker, Adam Przeworski, Richard Posner. Governments will tend to produce laws and policies that are close to the views of the median voter—with half to their left and the other half to their right. This is not actually a desirable outcome as it represents the action of self-interested and somewhat unaccountable political elites competing for votes. Anthony Downs suggests that ideological political parties are necessary to act as a mediating broker between individual and governments. Downs laid out this view in his 1957 book An Economic Theory of Democracy. Robert A. Dahl argues that the fundamental democratic principle is that, when it comes to binding collective decisions, each person in a political community is entitled to have his/her interests be given equal consideration (not necessarily that all people are equally satisfied by the collective decision). He uses the term polyarchy to refer to societies in which there exists a certain set of institutions and procedures which are perceived as leading to such democracy. First and foremost among these institutions is the regular occurrence of free and open elections which are used to select representatives who then manage all or most of the public policy of the society. However, these polyarchic procedures may not create a full democracy if, for example, poverty prevents political participation. Similarly, Ronald Dworkin argues that "democracy is a substantive, not a merely procedural, ideal." Deliberative democracy is based on the notion that democracy is government by deliberation. Unlike aggregative democracy, deliberative democracy holds that, for a democratic decision to be legitimate, it must be preceded by authentic deliberation, not merely the aggregation of preferences that occurs in voting. Authentic deliberation is deliberation among decision-makers that is free from distortions of unequal political power, such as power a decision-maker obtained through economic wealth or the support of interest groups. If the decision-makers cannot reach consensus after authentically deliberating on a proposal, then they vote on the proposal using a form of majority rule. Many theorists is discussing the conception of Debliberative Democracy, considering specially the thought of Jürgen Habermas. Some economists have criticized the efficiency of democracy, citing the premise of the irrational voter, or a voter who makes decisions without all of the facts or necessary information in order to make a truly informed decision. Another argument is that democracy slows down processes because of the amount of input and participation needed in order to go forward with a decision. A common example often quoted to substantiate this point is the high economic development achieved by China (a non-democratic country) as compared to India (a democratic country). According to economists, the lack of democratic participation in countries like China allows for unfettered economic growth. On the other hand, Socrates was of the belief that democracy without educated masses (educated in the more broader sense of being knowledgeable and responsible) would only lead to populism being the criteria to become an elected leader, and not competence. This would ultimately lead to a demise of the nation. This was quoted by Plato in book 10 of The Republic, in Socrates' conversation with Adimantus. Socrates was of the opinion that the right to vote must not be an indiscriminate right (for example by birth or citizenship), but must be given only to people who thought sufficiently of their choice. Plato's The Republic presents a critical view of democracy through the narration of Socrates: "Democracy, which is a charming form of government, full of variety and disorder, and dispensing a sort of equality to equals and unequaled alike." In his work, Plato lists 5 forms of government from best to worst. Assuming that the Republic was intended to be a serious critique of the political thought in Athens, Plato argues that only Kallipolis, an aristocracy led by the unwilling philosopher-kings (the wisest men), is a just form of government. More recently, democracy is criticised for not offering enough political stability. As governments are frequently elected on and off there tends to be frequent changes in the policies of democratic countries both domestically and internationally. Even if a political party maintains power, vociferous, headline grabbing protests and harsh criticism from the popular media are often enough to force sudden, unexpected political change. Frequent policy changes with regard to business and immigration are likely to deter investment and so hinder economic growth. For this reason, many people have put forward the idea that democracy is undesirable for a developing country in which economic growth and the reduction of poverty are top priorities. Biased media has been accused of causing political instability, resulting in the obstruction of democracy, rather than its promotion. In representative democracies, it may not benefit incumbents to conduct fair elections. A study showed that incumbents who rig elections stay in office 2.5 times as long as those who permit fair elections. Democracies in countries with high per capita income have been found to be less prone to violence, but in countries with low incomes the tendency is the reverse. Election misconduct is more likely in countries with low per capita incomes, small populations, rich in natural resources, and a lack of institutional checks and balances. Sub-Saharan countries, as well as Afghanistan, all tend to fall into that category. Governments that have frequent elections tend to have significantly more stable economic policies than those governments who have infrequent elections. However, this trend does not apply to governments where fraudulent elections are common. Other commentators have mentioned the influence of economic development. In a related theory, Ronald Inglehart suggests that improved living-standards in modern developed countries can convince people that they can take their basic survival for granted, leading to increased emphasis on self-expression values, which correlates closely with democracy. Douglas M. Gibler and Andrew Owsiak in their study argued about the importance of peace and stable borders for the development of democracy. It has often been assumed that democracy causes peace, but this study shows that, historically, peace has almost always predated the establishment of democracy. Carroll Quigley concludes that the characteristics of weapons are the main predictor of democracy: Democracy—this scenario—tends to emerge only when the best weapons available are easy for individuals to obtain and use. By the 1800s, guns were the best personal weapons available, and in the United States of America (already nominally democratic), almost everyone could afford to buy a gun, and could learn how to use it fairly easily. Governments couldn't do any better: it became the age of mass armies of citizen soldiers with guns Similarly, Periclean Greece was an age of the citizen soldier and democracy. Evidence consistent with conventional theories of why democracy emerges and is sustained has been hard to come by. Statistical analyses have challenged modernisation theory by demonstrating that there is no reliable evidence for the claim that democracy is more likely to emerge when countries become wealthier, more educated, or less unequal. Neither is there convincing evidence that increased reliance on oil revenues prevents democratisation, despite a vast theoretical literature on "the Resource Curse" that asserts that oil revenues sever the link between citizen taxation and government accountability, seen as the key to representative democracy. The lack of evidence for these conventional theories of democratisation have led researchers to search for the "deep" determinants of contemporary political institutions, be they geographical or demographic. More inclusive institutions lead to democracy because as people gain more power, they are able to demand more from the elites, who in turn have to concede more things to keep their position. This virtuous circle may end up in democracy. An example of this is the disease environment. Places with different mortality rates had different populations and productivity levels around the world. For example, in Africa, the tsetse fly—which afflicts humans and livestock—reduced the ability of Africans to plow the land. This made Africa less settled. As a consequence, political power was less concentrated. This also affected the colonial institutions European countries established in Africa. Whether colonial settlers could live or not in a place made them develop different institutions which led to different economic and social paths. This also affected the distribution of power and the collective actions people could take. As a result, some African countries ended up having democracies and others autocracies. An example of geographical determinants for democracy is having access to coastal areas and rivers. This natural endowment has a positive relation with economic development thanks to the benefits of trade. Trade brought economic development, which in turn, broadened power. Rulers wanting to increase revenues had to protect property-rights to create incentives for people to invest. As more people had more power, more concessions had to be made by the ruler and in many[quantify] places this process lead to democracy. These determinants defined the structure of the society moving the balance of political power. In the 21st century, democracy has become such a popular method of reaching decisions that its application beyond politics to other areas such as entertainment, food and fashion, consumerism, urban planning, education, art, literature, science and theology has been criticised as "the reigning dogma of our time". The argument suggests that applying a populist or market-driven approach to art and literature (for example), means that innovative creative work goes unpublished or unproduced. In education, the argument is that essential but more difficult studies are not undertaken. Science, as a truth-based discipline, is particularly corrupted by the idea that the correct conclusion can be arrived at by popular vote. However, more recently, theorists[which?] have also advanced the concept epistemic democracy to assert that democracy actually does a good job tracking the truth. "The peasant in the fable, when on his death-bed, tells his sons that a treasure is buried in the field. After the old man's death the sons dig everywhere in order to discover the treasure. They do not find it. But their indefatigable labor improves the soil and secures for them a comparative well-being. The treasure in the fable may well symbolise democracy." Dr. Harald Wydra, in his book Communism and The Emergence of Democracy (2007), maintains that the development of democracy should not be viewed as a purely procedural or as a static concept but rather as an ongoing "process of meaning formation". Drawing on Claude Lefort's idea of the empty place of power, that "power emanates from the people [...] but is the power of nobody", he remarks that democracy is reverence to a symbolic mythical authority—as in reality, there is no such thing as the people or demos. Democratic political figures are not supreme rulers but rather temporary guardians of an empty place. Any claim to substance such as the collective good, the public interest or the will of the nation is subject to the competitive struggle and times of for[clarification needed] gaining the authority of office and government. The essence of the democratic system is an empty place, void of real people, which can only be temporarily filled and never be appropriated. The seat of power is there, but remains open to constant change. As such, people's definitions of "democracy" or of "democratic" progress throughout history as a continual and potentially never ending process of social construction. ^ Watkins, Frederick (1970). Encyclopædia Britannica (Hardcover)|format= requires |url= (help). 7 (Expo '70 ed.). William Benton. pp. 215–23. ISBN 978-0-85229-135-1. ^ "Definition of DEMOCRACY". www.merriam-webster.com. Retrieved 5 July 2018. ^ Locke, John. Two Treatises on Government: a Translation into Modern English. Google Books. ^ Przeworski, Adam (1991). Democracy and the Market. Cambridge University Press. pp. 10–14. ^ Diamond, L., Lecture at Hilla University for Humanistic Studies 21 January 2004: "What is Democracy"; Diamond, L. and Morlino, L., The quality of democracy (2016). In Diamond, L., In Search of Democracy. London: Routledge. ISBN 978-0-415-78128-2. ^ Landman, Todd (2018). "Democracy and Human Rights: Concepts, Measures, and Relationships". Politics and Governance. 6 (1): 48. doi:10.17645/pag.v6i1.1186. ^ Wilson, N.G. (2006). Encyclopedia of ancient Greece. New York: Routledge. p. 511. ISBN 0-415-97334-1. ^ Barker, Ernest (1906). The Political Thought of Plato and Aristotle. Chapter VII, Section 2: G.P. Putnam's Sons. ^ Staff writer (22 August 2007). "Liberty and justice for some". The Economist. Economist Group. ^ O'Donnell, Guillermo (2005), "Why the rule of law matters", in Diamond, Larry; Morlino, Leonardo (eds. ), Assessing the quality of democracy, Baltimore: Johns Hopkins University Press, pp. 3–17, ISBN 978-0-8018-8287-6. Preview. ^ Dahl, Robert A.; Shapiro, Ian; Cheibub, José Antônio (2003). The democracy sourcebook. Cambridge, Massachusetts: MIT Press. ISBN 978-0-262-54147-3. Details. ^ Hénaff, Marcel; Strong, Tracy B. (2001). Public space and democracy. Minneapolis: University of Minnesota Press. ISBN 978-0-8166-3388-3. ^ Kimber, Richard (September 1989). "On democracy". Scandinavian Political Studies. 12 (3): 201, 199–219. doi:10.1111/j.1467-9477.1989.tb00090.x. Full text. ^ Scruton, Roger (9 August 2013). "A Point of View: Is democracy overrated?". BBC News. BBC. ^ a b Kopstein, Jeffrey; Lichbach, Mark; Hanson, Stephen E., eds. (2014). Comparative Politics: Interests, Identities, and Institutions in a Changing Global Order (4, revised ed.). Cambridge University Press. pp. 37–39. ISBN 978-1-139-99138-4. ^ "Parliamentary sovereignty". UK Parliament. Retrieved 18 August 2014 ; "Independence". Courts and Tribunals Judiciary. Retrieved 9 November 2014. ^ Daily Express News (2 August 2013). "All-party meet vows to uphold Parliament supremacy". The New Indian Express. Express Publications (Madurai) Limited. Retrieved 18 August 2013. ^ Barak, Aharon (2006), "Protecting the constitution and democracy", in Barak, Aharon (ed. ), The judge in a democracy, Princeton, New Jersey: Princeton University Press, p. 27, ISBN 978-0-691-12017-1. Preview. ^ Kelsen, Hans (October 1955). "Foundations of democracy". Ethics, Special Issue: Part 2: Foundations of Democracy. 66 (1): 1–101. doi:10.1086/291036. JSTOR 2378551. ^ Nussbaum, Martha (2000). Women and human development: the capabilities approach. Cambridge New York: Cambridge University Press. ISBN 978-0-521-00385-8. ^ Snyder, Richard; Samuels, David (2006), "Devaluing the vote in Latin America", in Diamond, Larry; Plattner, Marc F. (eds. ), Electoral systems and democracy, Baltimore: Johns Hopkins University Press, p. 168, ISBN 978-0-8018-8475-7. ^ Everdell, William R. (2000) . The end of kings: a history of republics and republicans (2nd ed.). Chicago: University of Chicago Press. ISBN 978-0-226-22482-4. ^ "Pericles' Funeral Oration". the-athenaeum.org. ^ Raaflaub, Ober & Wallace 2007, p. [page needed]. ^ "Democracy". Online Etymology Dictionary. ^ Grinin, Leonid E. (2004). The Early State, Its Alternatives and Analogues. Uchitel' Publishing House. ^ "Women and Family in Athenian Law". www.stoa.org. Retrieved 1 March 2018. ^ Raaflaub, Ober & Wallace 2007, p. 5. ^ Ober & Hedrick 1996, p. 107. ^ "Full historical description of the Spartan government". Rangevoting.org. Retrieved 28 September 2013. ^ "Ancient Rome from the earliest times down to 476 A.D". Annourbis.com. Retrieved 22 August 2010. ^ "Constitution 1,000 years ago". The Hindu. Chennai, India. 11 July 2008. ^ "Magna Carta: an introduction". The British Library. Retrieved 28 January 2015. Magna Carta is sometimes regarded as the foundation of democracy in England. 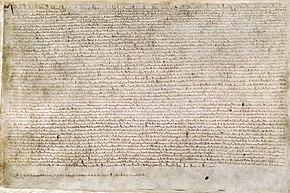 ...Revised versions of Magna Carta were issued by King Henry III (in 1216, 1217 and 1225), and the text of the 1225 version was entered onto the statute roll in 1297. ...The 1225 version of Magna Carta had been granted explicitly in return for a payment of tax by the whole kingdom, and this paved the way for the first summons of Parliament in 1265, to approve the granting of taxation. ^ "Citizen or Subject?". The National Archives. Retrieved 17 November 2013. ^ Jobson, Adrian (2012). The First English Revolution: Simon de Montfort, Henry III and the Barons' War. Bloomsbury. pp. 173–74. ISBN 978-1-84725-226-5. ^ "From legal document to public myth: Magna Carta in the 17th century". The British Library. Retrieved 16 October 2017 ; "Magna Carta: Magna Carta in the 17th Century". The Society of Antiquaries of London. Retrieved 16 October 2017. ^ "Origins and growth of Parliament". The National Archives. Retrieved 7 April 2015. ^ "Rise of Parliament". The National Archives. Retrieved 7 April 2015. ^ "Putney debates". The British Library. Retrieved 22 December 2016. ^ a b "Britain's unwritten constitution". British Library. Retrieved 27 November 2015. The key landmark is the Bill of Rights (1689), which established the supremacy of Parliament over the Crown.... The Bill of Rights (1689) then settled the primacy of Parliament over the monarch’s prerogatives, providing for the regular meeting of Parliament, free elections to the Commons, free speech in parliamentary debates, and some basic human rights, most famously freedom from ‘cruel or unusual punishment’. ^ Tocqueville, Alexis de (2003). Democracy in America. Barnes & Noble. pp. 11, 18–19. ISBN 0-7607-5230-3. ^ "Citizenship 1625–1789". The National Archives. Retrieved 17 November 2013. ^ "Getting the vote". The National Archives. Retrieved 22 August 2010. ^ Gregory, Desmond (1985). The ungovernable rock: a history of the Anglo-Corsican Kingdom and its role in Britain's Mediterranean strategy during the Revolutionary War, 1793–1797. London: Fairleigh Dickinson University Press. p. 31. ISBN 978-0-8386-3225-3. ^ "Voting in Early America". Colonial Williamsburg. Spring 2007. Retrieved 21 April 2015. ^ Johnston, Douglas M.; Reisman, W. Michael (2008). The Historical Foundations of World Order. Leiden: Martinus Nijhoff Publishers. p. 544. ISBN 978-90-474-2393-5. ^ "Expansion of Rights and Liberties – The Right of Suffrage". Online Exhibit: The Charters of Freedom. National Archives. Archived from the original on 6 July 2016. Retrieved 21 April 2015. ^ Deacy, Susan (2008). Athena. London and New York: Routledge. pp. 145–49. ISBN 978-0-415-30066-7. ^ Michael Denning (2004). Culture in the Age of Three Worlds. Verso. p. 212. ISBN 978-1-85984-449-6. Retrieved 10 July 2013. ^ Lovejoy, Paul E. (2000). Transformations in slavery: a history of slavery in Africa (2nd ed.). New York: Cambridge University Press. p. 290. ISBN 978-0-521-78012-4. ^ French National Assembly. "1848 " Désormais le bulletin de vote doit remplacer le fusil "". Retrieved 26 September 2009. ^ "Introduction – Social Aspects of the Civil War". Itd.nps.gov. Archived from the original on 14 July 2007. Retrieved 22 August 2010. ^ Diamond, Larry (15 September 2015). "Timeline: Democracy in Recession". The New York Times. Retrieved 25 January 2016. ^ a b Kurlantzick, Joshua (11 May 2017). "Mini-Trumps Are Running for Election All Over the World". Bloomberg.com. Retrieved 16 May 2017. ^ Mounk, Yascha (January 2017). "The Signs of Deconsolidation". Journal of Democracy. Retrieved 16 May 2017. ^ "Did the United States Create Democracy in Germany? : The Independent Review: The Independent Institute". Independent.org. Retrieved 22 August 2010. ^ "World | South Asia | Country profiles | Country profile: India". BBC News. 7 June 2010. Retrieved 22 August 2010. ^ Julian Go (2007). "A Globalizing Constitutionalism?, Views from the Postcolony, 1945–2000". In Arjomand, Saïd Amir (ed.). Constitutionalism and political reconstruction. Brill. pp. 92–94. ISBN 978-90-04-15174-1. ^ "Tables and Charts". Freedomhouse.org. 10 May 2004. Archived from the original on 13 July 2009. Retrieved 22 August 2010. ^ Wall, John (October 2014). "Democratising democracy: the road from women's to children's suffrage" (PDF). The International Journal of Human Rights. 18:6: 646–59 – via Rutgers University. ^ "General Assembly declares 15 September International Day of Democracy; Also elects 18 Members to Economic and Social Council". Un.org. Retrieved 22 August 2010. ^ a b "Freedom in the Word 2017". freedomhouse.org. 2016. Retrieved 16 May 2017. ^ "Freedom House: Democracy Scores for Most Countries Decline for 12th Consecutive Year", VOA News, 16 January 2018. Retrieved 21 January 2018. ^ "As populism rises, fragile democracies move to weaken their courts". Christian Science Monitor. 13 November 2018. ISSN 0882-7729. Retrieved 14 November 2018. ^ Skaaning, Svend-Erik (2018). "Different Types of Data and the Validity of Democracy Measures". Politics and Governance. 6 (1): 105. doi:10.17645/pag.v6i1.1183. ^ "CIRI Human Rights Data Project", website. Retrieved 25 October 2013. ^ Michael Kirk (10 December 2010). "Annual International Human Rights Ratings Announced". University of Connecticut. ^ "Human Rights in 2011: The CIRI Report". CIRI Human Rights Data Project. 29 August 2013. ^ "Democracy index 2012: Democracy at a standstill". Economist Intelligence Unit. 14 March 2013. Retrieved 24 March 2013. ^ Fuchs, Dieter; Roller, Edeltraud (2018). "Conceptualizing and Measuring the Quality of Democracy: The Citizens' Perspective". Politics and Governance. 6 (1): 22. doi:10.17645/pag.v6i1.1188. ^ Mayne, Quinton; Geißel, Brigitte (2018). "Don't Good Democracies Need "Good" Citizens? Citizen Dispositions and the Study of Democratic Quality". Politics and Governance. 6 (1): 33. doi:10.17645/pag.v6i1.1216. ^ a b Alexander Krauss, 2016. The scientific limits of understanding the (potential) relationship between complex social phenomena: the case of democracy and inequality. Vol. 23(1). Journal of Economic Methodology. ^ Bernard Manin. Principles of Representative Government. pp. 8–11 (1997). ^ Beramendi, Virginia, and Jennifer Somalie. Angeyo. Direct Democracy: The International Idea Handbook. Stockholm, Sweden: International IDEA, 2008. Print. ^ a b c d e Vincent Golay and Mix et Remix, Swiss political institutions, Éditions loisirs et pédagogie, 2008. ISBN 978-2-606-01295-3. ^ Niels Barmeyer, Developing Zapatista Autonomy, Chapter Three: Who is Running the Show? The Workings of Zapatista Government. ^ Denham, Diana (2008). Teaching Rebellion: Stories from the Grassroots Mobilization in Oaxaca. ^ Zibechi, Raul (2013). Dispersing Power: Social Movements as Anti-State Forces in Latin America. ^ "Radical Revolution – The Thermidorean Reaction". Wsu.edu. 6 June 1999. Archived from the original on 3 February 1999. Retrieved 22 August 2010. ^ Köchler, Hans (1987). The Crisis of Representative Democracy. Frankfurt/M., Bern, New York. ISBN 978-3-8204-8843-2. ^ Urbinati, Nadia (1 October 2008). "2". Representative Democracy: Principles and Genealogy. ISBN 978-0-226-84279-0. ^ Fenichel Pitkin, Hanna (September 2004). "Representation and democracy: uneasy alliance". Scandinavian Political Studies. 27 (3): 335–42. doi:10.1111/j.1467-9477.2004.00109.x. ^ Aristotle. "Ch. 9". Politics. Book 4. ^ Keen, Benjamin, A History of Latin America. Boston: Houghton Mifflin, 1980. ^ Kuykendall, Ralph, Hawaii: A History. New York: Prentice Hall, 1948. ^ Brown, Charles H., The Correspondents' War. New York: Charles Scribners' Sons, 1967. ^ Garret, Elizabeth (13 October 2005). "The Promise and Perils of Hybrid Democracy" (PDF). The Henry Lecture, University of Oklahoma Law School. Archived from the original (PDF) on 9 October 2017. Retrieved 7 August 2012. ^ "Article on direct democracy by Imraan Buccus". Themercury.co.za. Archived from the original on 17 January 2010. Retrieved 22 August 2010. ^ "A Citizen's Guide To Vermont Town Meeting". July 2008. Archived from the original on 5 August 2012. Retrieved 12 October 2012. ^ "Republic – Definition from the Merriam-Webster Online Dictionary". M-W.com. 25 April 2007. Retrieved 22 August 2010. ^ "The Founders' Constitution: Volume 1, Chapter 18, Introduction, "Epilogue: Securing the Republic"". Press-pubs.uchicago.edu. Retrieved 22 August 2010. ^ Dowlen, Oliver (2008). The Political Potential of Sortition: A study of the random selection of citizens for public office. Imprint Academic. ^ "Article on Cosmopolitan democracy by Daniele Archibugi" (PDF). Archived from the original (PDF) on 25 July 2011. Retrieved 22 August 2010. ^ Ten Years After the Soviet Breakup: From Democratization to "Guided Democracy" Journal of Democracy. By Archie Brown. Oct. 2001. Downloaded 28 April 2017. ^ Putin’s Rule: Its Main Features and the Current Diarchy Johnson's Russia List. By Peter Reddaway. 18 February 2009. Downloaded 28 April 2017. ^ Compare: Tibi, Bassam (2013). The Sharia State: Arab Spring and Democratization. p. 161. ISBN 978-1-135-92468-3. ^ "Aristotle, Nicomachean Ethics, Book VIII, Chapter 10 (1160a.31-1161a.9)". Internet Classics Archive. Retrieved 21 June 2018. 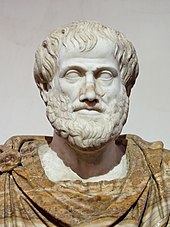 ^ "Aristotle". Internet Encyclopedia of Philosophy. ^ a b c d e "Deudney, D.: Bounding Power: Republican Security Theory from the Polis to the Global Village. (eBook and Paperback)". press.princeton.edu. Retrieved 14 March 2017. ^ Springer, Simon (2011). "Public Space as Emancipation: Meditations on Anarchism, Radical Democracy, Neoliberalism and Violence". Antipode. 43 (2): 525–62. doi:10.1111/j.1467-8330.2010.00827.x. ^ Joseph Schumpeter, (1950). Capitalism, Socialism, and Democracy. Harper Perennial. ISBN 0-06-133008-6. ^ Anthony Downs, (1957). An Economic Theory of Democracy. Harper Collins College. ISBN 0-06-041750-1. ^ Dworkin, Ronald (2006). Is Democracy Possible Here? Princeton: Princeton University Press. ISBN 978-0-691-13872-5, p. 134. ^ Joshua Cohen, "Deliberation and Democratic Legitimacy" in Essays on Reason and Politics: Deliberative Democracy Ed. James Bohman and William Rehg (The MIT Press: Cambridge) 1997, 72–73. ^ "Is Democracy a Pre-Condition in Economic Growth? A Perspective from the Rise of Modern China". UN Chronicle. Retrieved 24 January 2017. ^ Conversation of Socrates, Plato; H, Translated by Spens. The Republic of Plato – Book ten – A conversation between Socrates and Admimantus. ^ Femia, Joseph V. (2001). Against the masses : varieties of anti-democratic thought since the French Revolution. Oxford: Oxford University Press. ISBN 978-0-19-828063-7. OCLC 46641885. ^ The contrast between Plato's theory of philosopher-kings, arresting change, and Aristotle's embrace of change, is the historical tension espoused by Karl Raimund Popper in his WWII treatise, The Open Society and its Enemies (1943). ^ "Head to head: African democracy". BBC News. 16 October 2008. Retrieved 1 April 2010. ^ a b c d Paul Collier (8 November 2009). "5 myths about the beauty of the ballot box". Washington Post. Washington Post. p. B2. ^ For example: Lipset, Seymour Martin. (1959). "Some Social Requisites of Democracy: Economic Development and Political Legitimacy". American Political Science Review. 53 (1): 69–105. doi:10.2307/1951731. JSTOR 1951731. ^ Inglehart, Ronald F. (2018). Cultural Evolution: People's Motivations Are Changing, and Reshaping the World. Cambridge University Press. doi:10.1017/9781108613880. ISBN 978-1-108-61388-0. ^ Gibler, Douglas M.; Owsiak, Andrew (2017). "Democracy and the Settlement of International Borders, 1919–2001". Journal of Conflict Resolution. 62 (9): 1847–75. doi:10.1177/0022002717708599. ^ a b Carroll Quigley (1983). Weapons systems and political stability: a history. University Press of America. pp. 38–39. ISBN 978-0-8191-2947-5. Retrieved 20 May 2013. ^ Carroll Quigley (1983). Weapons systems and political stability: a history. University Press of America. p. 307. ISBN 978-0-8191-2947-5. Retrieved 20 May 2013. ^ Glaeser, E.; Ponzetto, G.; Shleifer, A. (2007). "Why does democracy need education?". Journal of Economic Growth. 12 (2): 77–99. doi:10.1007/s10887-007-9015-1. Retrieved 3 July 2017. ^ Deary, I.J. ; Batty, G.D.; Gale, C.R. (2008). "Bright children become enlightened adults" (PDF). Psychological Science. 19 (1): 1–6. doi:10.1111/j.1467-9280.2008.02036.x. PMID 18181782. ^ Compare: Rindermann, H (2008). "Relevance of education and intelligence for the political development of nations: Democracy, rule of law and political liberty". Intelligence. 36 (4): 306–22. doi:10.1016/j.intell.2007.09.003. Political theory has described a positive linkage between education, cognitive ability and democracy. This assumption is confirmed by positive correlations between education, cognitive ability, and positively valued political conditions (N = 183 − 130). [...] It is shown that in the second half of the 20th century, education and intelligence had a strong positive impact on democracy, rule of law and political liberty independent from wealth (GDP) and chosen country sample. One possible mediator of these relationships is the attainment of higher stages of moral judgment fostered by cognitive ability, which is necessary for the function of democratic rules in society. The other mediators for citizens as well as for leaders could be the increased competence and willingness to process and seek information necessary for political decisions due to greater cognitive ability. There are also weaker and less stable reverse effects of the rule of law and political freedom on cognitive ability. ^ Albertus, Michael; Menaldo, Victor (2012). "Coercive Capacity and the Prospects for Democratisation". Comparative Politics. 44 (2): 151–69. doi:10.5129/001041512798838003. ^ "The Resource Curse: Does the Emperor Have no Clothes?". ^ Acemoglu, Daron; Robinson, James A. (2006). Economic Origins of Dictatorship and Democracy. Cambridge University Press. ISBN 978-0-521-85526-6. ^ Alsan, Marcella (2015). "The Effect of the TseTse Fly on African Development" (PDF). American Economic Review. 105 (1): 382–410. CiteSeerX 10.1.1.1010.2955. doi:10.1257/aer.20130604. ^ Acemoglu, Daron; Johnson, Simon; Robinson, James (2005). "Institutions as a fundamental cause of long-run growth". Handbook of Economic Growth. Handbook of Economic Growth. 1. pp. 385–472, Sections 1 to 4. doi:10.1016/S1574-0684(05)01006-3. ISBN 978-0-444-52041-8. ^ Mellinger, Andrew D., Jeffrey Sachs, and John L. Gallup. (1999). "Climate, Water Navigability, and Economic Development". Working Paper. ^ Acemoglu, Daron; Johnson, Simon; Robinson, James (2005). "Institutions as a fundamental cause of long-run growth". Handbook of Economic Growth. Handbook of Economic Growth. 1. pp. 385–472, Sections 5 to 10. doi:10.1016/S1574-0684(05)01006-3. ISBN 978-0-444-52041-8. 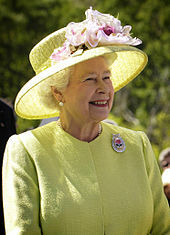 ^ Farrelly, Elizabeth (15 September 2011). "Deafened by the roar of the crowd". The Sydney Morning Herald. Archived from the original on 30 December 2011. Retrieved 17 September 2011. ^ Robert Michels (1999) [1962 by Crowell-Collier]. Political Parties. Transaction Publishers. p. 243. ISBN 978-1-4128-3116-1. Retrieved 5 June 2013. ^ Harald Wydra, Communism and the Emergence of Democracy, Cambridge: Cambridge University Press, 2007, pp. 22–27. ^ Compare: Wydra, Harald (2007). "Democracy as a process of meaning-formation". Communism and the Emergence of Democracy. Cambridge University Press. pp. 244–68. ISBN 978-1-139-46218-1. Retrieved 11 August 2018. Abbott, Lewis. (2006). British Democracy: Its Restoration and Extension. ISR/Google Books. This page was last edited on 25 April 2019, at 09:19 (UTC).